4l60e / 4l65e valve body assembly complete ready to bolt on out of the box! 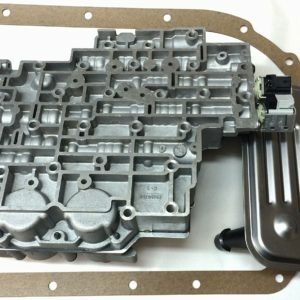 this valve body has the updated sonnax tcc regulator valve installed (#77754-03k) that requires a special reaming tool to install and use (done by us), corrects common irreversible issues with valve body wear. This problem is the number one most overlooked issue by other re-builders. One indicator of this issue is the p1870 code. 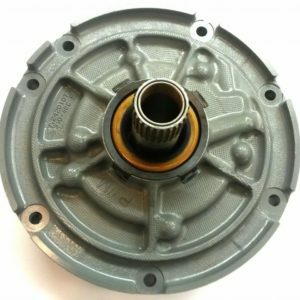 If this valve is not installed, even after a rebuild transmission can become overheated and as a result can burn up quickly do to torque converter slippage, caused by the badly worn valve body casting in the converter clutch regulator valve bore. The OEM TCC valve on 4l60-e units wears the bore, creating pressure leaks that affect performance. The sonnax tcc regulator valve kits allow you to restore hydraulic integrity without replacing the bore. Common issues with this are overheated converters, harsh 1-2 shifts, burned 3-4 clutches, and failed lock up converter clutch. 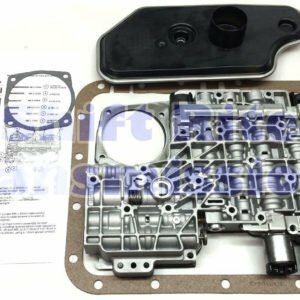 Includes everything needed to install the valve body including a new transgo separator plate, gaskets, filters and much more!